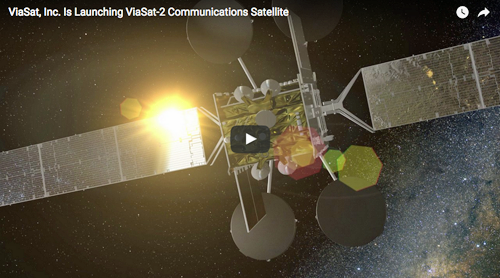 On June 1, ViaSat-2 will launch and head to orbit. ViaSat-2 will deliver 300 Gigabits per second (Gbps) of total network capacity, improve broadband speeds significantly and provide seven times the coverage over its predecessor, ViaSat-1. This satellite system will show the world that satellite is not a service of last resort, but a strong terrestrial broadband service alternative. Watch the trailer and then, on June 1, watch the live stream of the satellite launch on June 1.